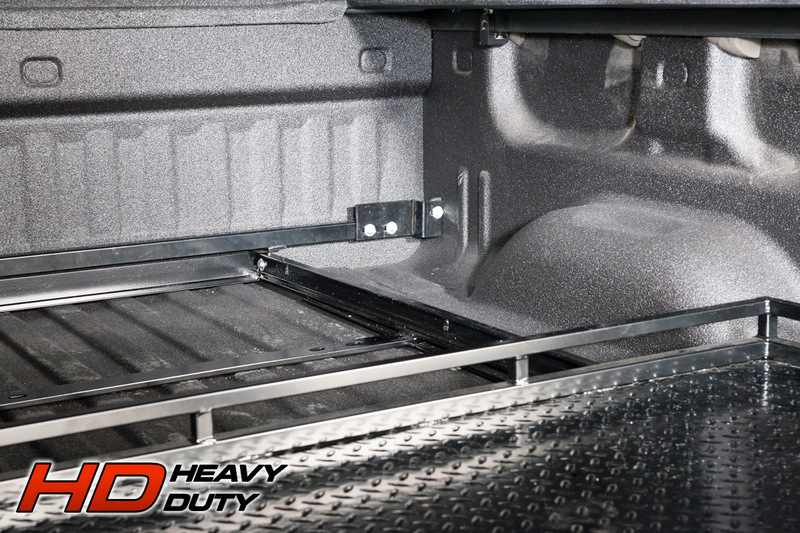 Our HD Heavy-Duty system features all steel construction, and is coated in rugged spray-on bed liner material. Full Size 8' Long Bed 12-9648-HD 96"L x 48"W 800 / 1,200 lbs. Full Size 6.5' Short Bed 12-7548-HD 75"L x 48"W 800 / 1,200 lbs. Full Size Super Duty 6.9' Short Bed 12-8148-HD 81"L x 48"W 800 / 1,200 lbs. 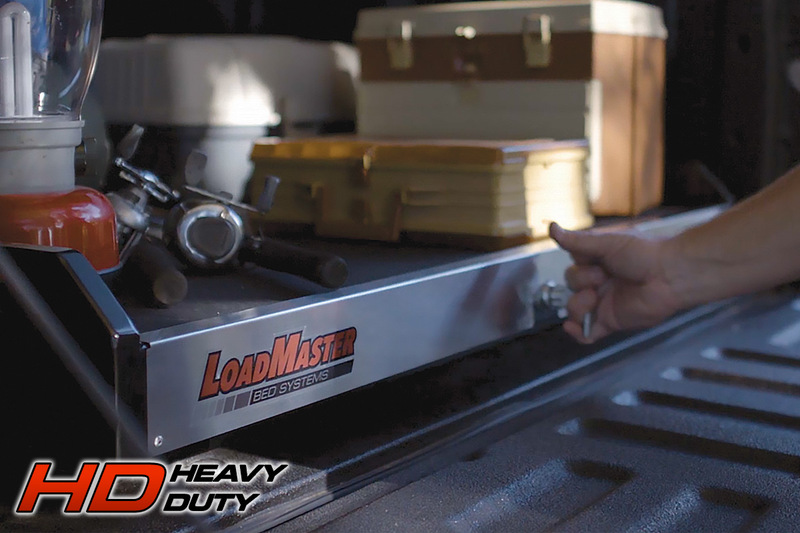 Full Size 5.5' & 5.8' Short Bed 12-6648-HD 66"L x 48"W 800 / 1,200 lbs. 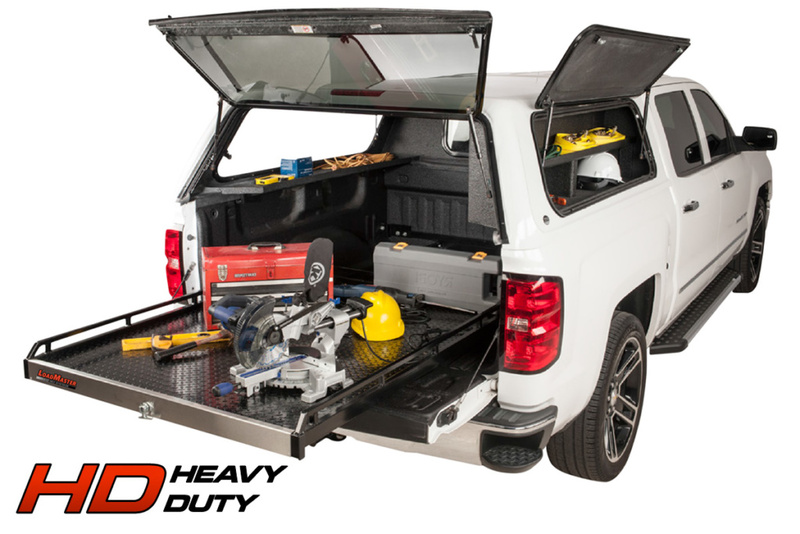 2015-C F-0150 5.5' & Tundra Crew Max 12-6348-HD 63"L x 48"W 800 / 1,200 lbs. Midsize 6' Short Bed 12-7141-HD 71"L x 41"W 800 / 1,200 lbs. Midsize 5' Short Bed 12-5941-HD 59"L x 41"W 800 / 1,200 lbs. Midsize 5' Short Bed Frontier 12-5641-HD 56"L x 41"W 800 / 1200 lbs.